Investment Advisor Representative of Royal Alliance Associates, Inc.
Austin has been in the insurance and financial services business for 1 year and holds a life and health insurance license and FINRA Series 7 and 66 registrations. He is a graduate of the University of Iowa with a degree in Business. 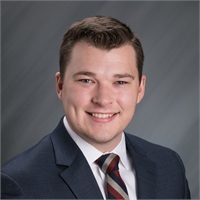 Austin specializes in working with individuals and families in life insurance planning, investment planning and retirement planning. Austin enjoys spending time with his family, friends, golfing and snow skiing.